It is not an easy thing to do, but here are some tips on how to choose the best conditions for Great Barrier Reef tours. All the Great Barrier Reef tours in Port Douglas will endeavor to give you a fantastic experience on the reef and pick the best sites for the conditions they experience on the day. Many people are only concerned with whether it is going to be sunny, overcast or raining on the day of their Great Barrier Reef tours. For Great Barrier Reef tours from Port Douglas the most important thing you should consider is the wind. Any day with wind conditions predicted to be less than 15 knots is pretty close to perfect conditions for Great Barrier Reef tours. 15-20 knots is OK, but expect a bit more motion on the ocean when travelling to and from the reef. 20-30 knots means that the wind is getting fairly high, and also means that there will be bigger waves whilst your boat is underway to the reef. If you have good sea legs you won’t be bothered by the movement of the boat. If you are concerned about getting sea sick on Great Barrier Reef tours, then make sure you arrange sea sickness medication from the local chemist prior to your reef trip. The tablets take a bit of time to work, some people take a couple before bedtime the night before their Great Barrier Reef tours, and then a couple more about 30 minutes before they board their boat to the reef. The rule of thumb is that the less wind about, the better it is for Great Barrier Reef tours! The tides play a big part in selecting a good day for Great Barrier Reef tours especially when the wind is getting up there. A good low tide in the middle of the day means that reef goers get some protection from the waves once they get in behind the reef. A low tide in the middle of the day is great for Great Barrier Reef tours. The Great Barrier Reef is called a Barrier Reef because it is acts as a barrier to the big open ocean swells. If there are low tides in the middle of the day or towards the afternoon on Great Barrier Reef tours it generally means that all the reef sites that are in the leeward side of the wind that day are quite sheltered. During the tropical winter, May – August, the trade winds are predominately stronger more often than not. Tides are very important factors to consider when looking at Great Barrier Reef tours. Usually the stronger winds are from the South East and this is why the reef acts like a barrier. Hence the name the Great BARRIER Reef. It is not all bad news doing Great Barrier Reef tours during a tropical winter, as this is generally when the underwater visibility is at its best. You might also get to see migrating Minke or Humpback Whales if you choose to do Great Barrier Reef tours during our tropical winter. Whether it is cloudy, sunny or rainy you are always going to see vividly coloured coral and fish on your Great Barrier Reef tours from Port Douglas. 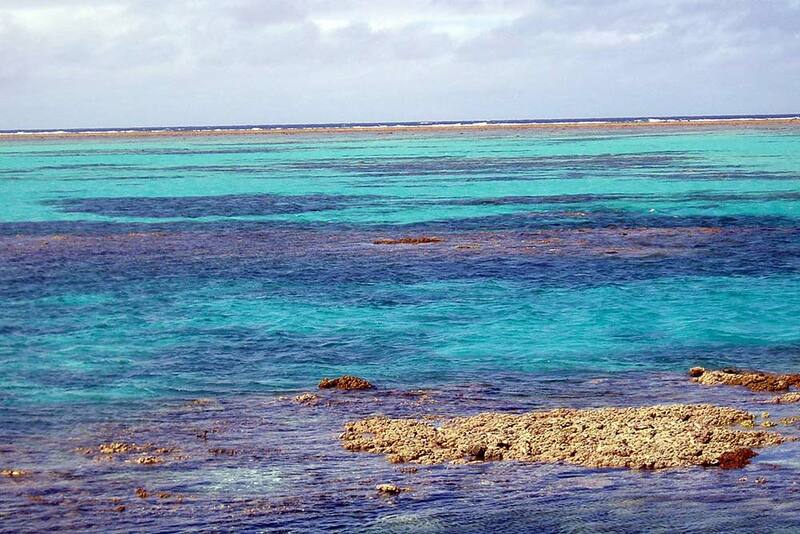 A common misconception about Great Barrier Reef Tours is that you will only see beautiful colours on sunny days. Coral produces a compound that glows or fluoresces under UV light, and even when it is cloudy UV rays still penetrate the clouds. In fact the best coral viewing conditions are when it is a little cloudy. There is more UV light on a cloudy day and the corals appear to glow. Remember also that weather forecasts, are just forecasts… the further ahead you look at weather predictions, the less accurate they will be. If you would like help picking the best weather for your Great Barrier Reef tours, send Port Douglas Reef Charters an email. We are happy to help make your Great Barrier Reef tour something to remember! Port Douglas Reef Charters are the specialists in Great Barrier Reef tours. This entry was posted in Fishing, Great Barrier Reef, Holiday tips, Scuba Diving, Snorkeling and tagged coral, fish, Great Barrier Reef, Port Douglas, seasickness, Tours, weather, whales.